Historical fiction helps young adults imagine the past through the lives and relationships of its protagonists, putting them at the centre of fascinating times and places--and the new Common Core Standards allow for use of novels alongside textbooks for teaching history. 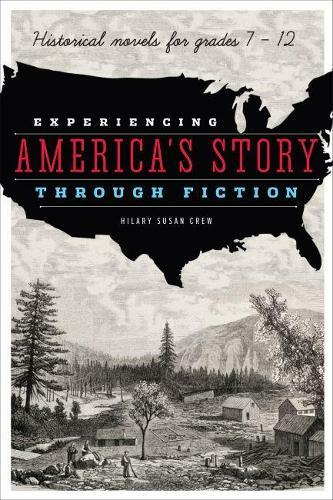 Perfect for classroom use and YA readers' advisory, Crew's book highlights more than 150 titles of historical fiction published since 2000 that are appropriate for seventh to twelfth graders. Choosing award-winners as well as novels which have been well-reviewed in Booklist, The Horn Book, Multicultural Review, History Teach, Journal of American History, and other periodicals, this resource assists librarians and educators bySpotlighting novels with a multiplicity of voices from different cultures, races, and ethnicitiesFeaturing both YA novels and novels written for adults that are appropriate for teensOffering thorough annotations, with an examination of each novel's historical contentProviding discussion questions and online resources for classroom use that encourage students to think critically about the book and compare ideas and events in the story to actual historyThis book will help teachers of history as well as school and public librarians who work with youth to promote a more inclusive understanding of America's story through historical fiction.